This is a gorgeous piece of history, a must see to appreciate. I am believeing the blue is silk. the green is velvet. This has 3 sections of beading. 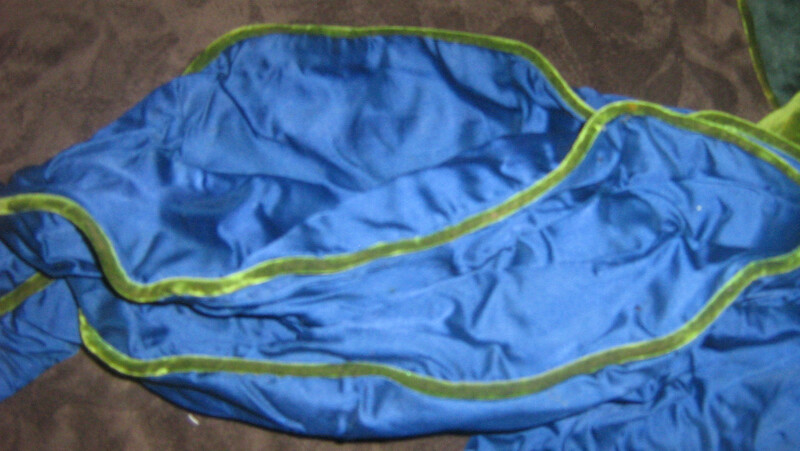 a panel on one side has come unsewn but not torn. Inside is lined and boned. This was found in an old trunked that was packed in 1860, Not sure hold old it was at time of packing. Not perfect but a nice pc for its age.A few small holes, Some fading on velvet as well. 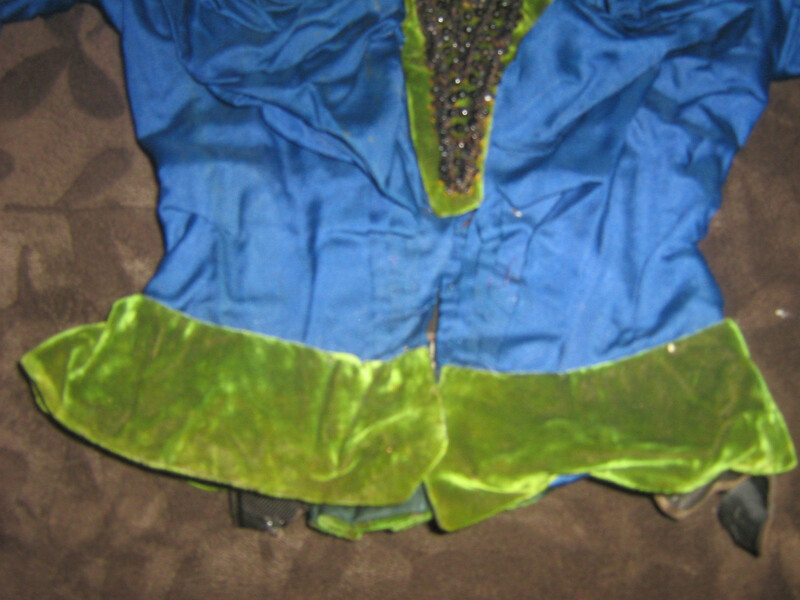 The color and the jet beading is consistent with a late 19th C bodice as are the sleeves. 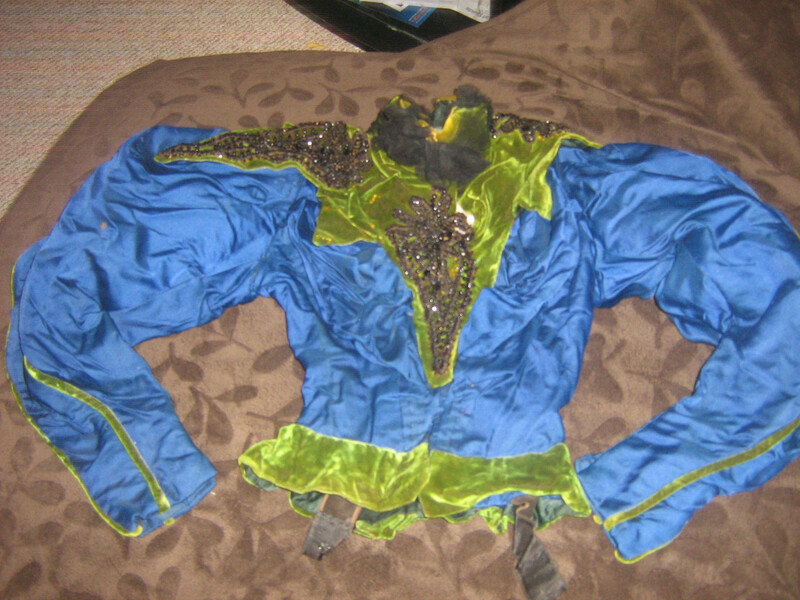 I do wish the seller had taken an inside the bodice shot and some measurements but, alas, no. 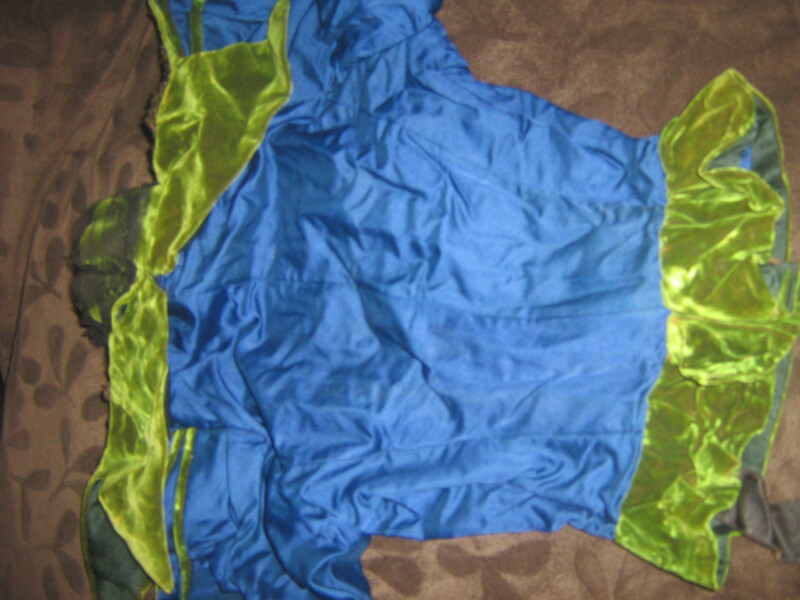 Given the color combo, the skirting, and general look of the bodice, my guess is this is an 1890's fancy dress bodice.